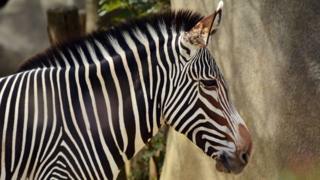 An Austrian man has won a court case enabling him to change his family name back to "Zebra". The man appealed to the Austrian Constitutional Court when a lower court rejected his proposed name change. The man's grandfather changed his name from "Zebra" in the 1950s. "Zebra" had been the family name for centuries, so reverting to it was quite legal, the Constitutional Court ruled. The lower court had argued that "Zebra" was a non-Austrian invented name. In that earlier ruling, a judge said "Zebra" could only refer to "a type of horse living in the African savannah". Some other animal names would have been acceptable, as they already existed in Austrian official records, he argued. He gave as examples the family names "Fuchs" (meaning fox), "Biber" (beaver) and "Strauss" (ostrich). The last family member with the name "Zebra" died in 1991 - a great-uncle of the plaintiff. The plaintiff's current name was not disclosed. The Constitutional Court judgement (in German) says the "Zebra" case was considered by 12 court lawyers and vice-president Brigitte Bierlein. In September a prominent French politician, ex-minister Rachida Dati, was embroiled in a row about her daughter's name Zohra. She reacted angrily after journalist Eric Zemmour argued that the name Zohra was "less French", because it did not come from an official list of French Christian names. In 1993 France abolished a Napoleonic law that limited parents' name choices for their children. Japan surname row: What do other countries do? Who, What, Why: Why do some countries regulate baby names?